Rio de Janeiro’s Museum of Tomorrow explores human history, the future of cities and the changes in consumption that are needed to ensure a sustainable path forward. Photo by Brian Godfrey/Flickr. It’s not often that you encounter museums dedicated to urban planning and development. But they do exist, and they are presenting panoramas of urban areas, both historically and spatially. While many museums have traditionally focused on presenting valuable objects and visual materials, some museums are going a step ahead in using exhibits to interact with visitors and inspire urban residents to think about some of the most important questions for our cities’ future—such as climate change, urban sprawl and poverty. The Dharavi Design Museum. Photo by the Museum. 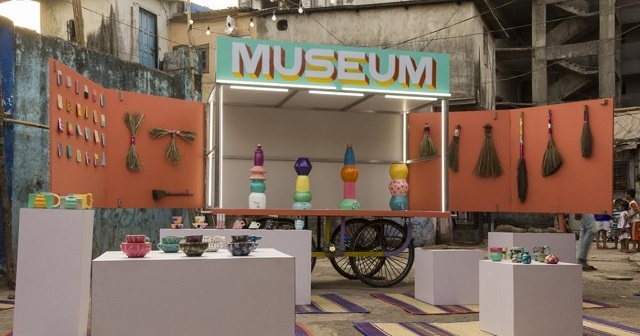 Built inside a small truck, the Dharavi Design Museum is the world’s first museum in a slum and is out to change the negative perception of urban slums. One of Asia’s biggest slums, Dharavi in Mumbai, India is home to a million people who currently recycle about 80 percent of Mumbai city’s waste into plastic toys, containers and other products. The museum showcases local talent, creativity and entrepreneurship through products created by as many as 20,000 small-scale enterprises. Launched in February 2016, the small truck navigates the Dharavi’s narrow streets and serves as a platform for connecting local creators with potential clients. The museum kicked off with an exhibit on local pottery, featuring locally made pottery products where people could learn how to enhance their pottery-making skills. The Museum of Tomorrow explores the questions of where human beings came from, what cities might look like in 50 years and how human beings could change their consumption patterns to ensure a sustainable future. Rather than displaying objects, this museum is an exhibit of ideas and includes scientific evidence on greenhouse gas emissions, dense traffic, ozone depletion, population growth and more. The exhibit is almost entirely digital, with both audio and visual media engaging visitors in five areas: Cosmos, Earth, Anthropocene, Tomorrow and Now. The idea is to show viewers that tomorrow is not far away, and that human beings need to work together to ensure that we use our resources smartly. 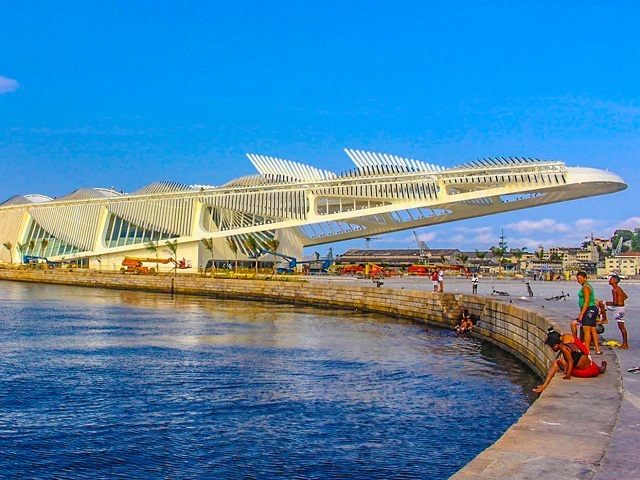 The Museum of Tomorrow is an initiative of Rio de Janeiro’s Municipal government and was designed by Santiago Calatrava to adapt to the changing environment. It uses 40 percent less energy than conventional buildings, with 9 percent of its energy coming from solar panels. 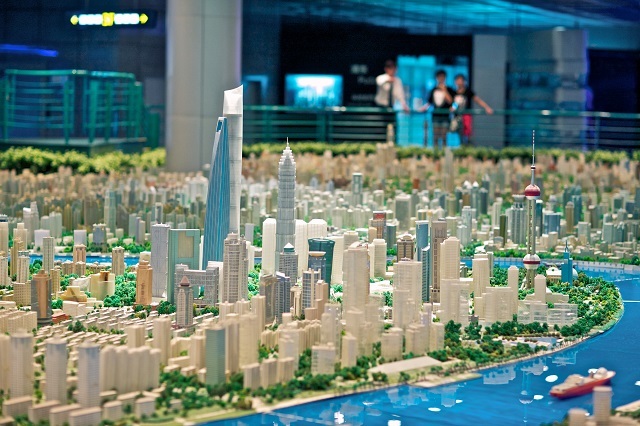 The Shanghai Urban Planning Exhibition Center’s model of the city. Photo by Nelson Wu/Flickr. Considered the “Window of the City”, the Shanghai Urban Planning Exhibition Center guides visitors through an exploration of the past, present and future of Shanghai’s urban development. The museum features a true-to-scale monolithic model of the entire city, representing life in Shanghai with old and new buildings, streets, open spaces, housing and even tiny pedestrian figures walking on the streets. While the model gives visitors a glimpse of urban development in Shanghai’s near future, a theatre next door gives the visitors a 360-degree experience of what it will be to fly over Shanghai in the distant future. The Shanghai Urban Planning Exhibition Center is one of most widely acclaimed museums in China and draws visitors from around the world. It is housed in a six story building located in People’s Square in Shanghai and was designed by Ling in 2000. Urban planning museums have a lot of potential to spread important messages about cities and urban residents. These museums can build bridges to connect with their communities, using audio-visual and technology as a platform to engage the public and give them a broad understanding of the issues. This kind of understanding between people and local leaders can be critical for bringing positive change on social, environmental and economic issues.